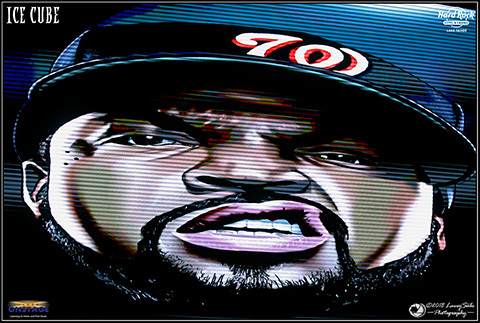 Ice Cube chills the Hard Rock Hotel & Casino in concert on Saturday, Aug. 4. It was a throwback night for a certain generation. 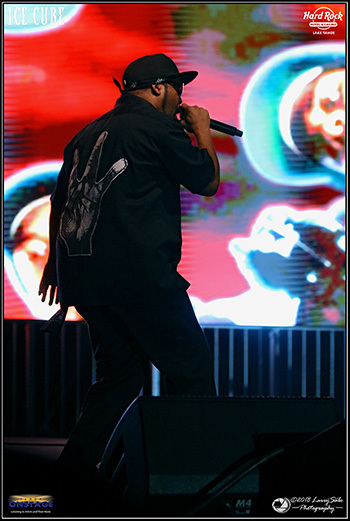 In front of a diverse crowd of several thousand fans at Hard Rock Lake Tahoe’s outdoor arena, movie star, producer, director and basketball league owner Ice Cube returned to his musical roots with the energy that earned him worldwide stature. 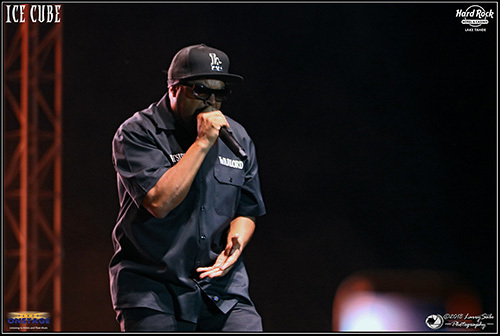 After exploding onstage with “Natural Born Killaz,” Ice Cube went into a career history lesson of himself by singing “Straight Outta Compton” from his N.W.A. days. 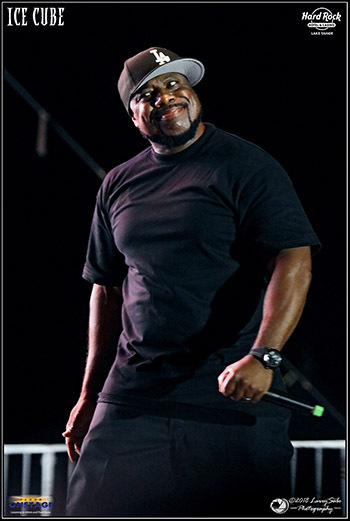 That was followed by his dis hit of N.W.A., “No Vaseline,” which he wrote as a counter lyrical attack for a song that the group did in which certain lyrics were an intended insult toward ‘Cube’ for leaving the group. He moved on to some tracks from his “Westside Connection” affiliation before mixing some of his solo hits and ending the night with “It Was A Good Day.” Each song took the crowd back to the day when rap was poetic and sent a societal message. 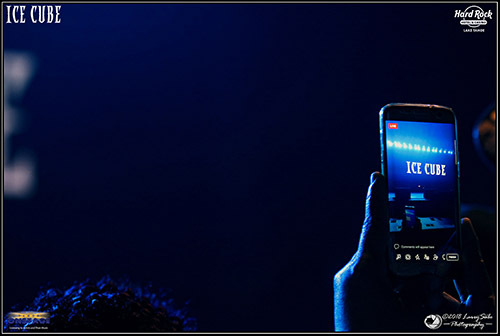 The music videos of each track played on a screen in the background — and glimpses of other rappers such as Dr. Dre and Snoop Dogg — brought collective cheers from the crowd. Among the gathered fans was Chrissy Buckles from Yosemite. A self-described “hip-hop cowgirl,” she attended with her friend of 30 years, Erin, whom she’s known since the seventh grade and now has “incurable” cancer. “Gotta keep living and having fun,” Chrissy said. That’s why they came out to watch Ice Cube perform live for the first time and listen to music from when they grew up. 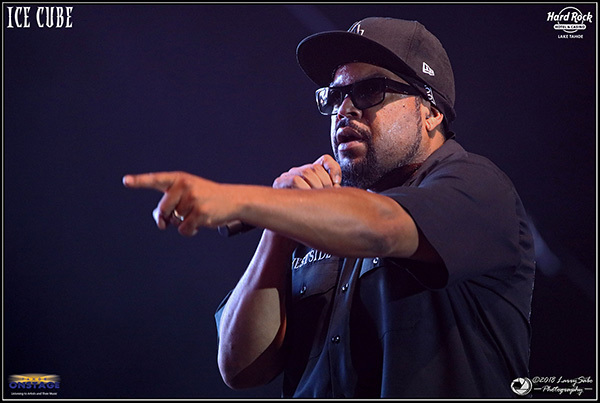 During a moment when he thought he saw someone in the audience wearing a “Make America Great Again” hat, Ice Cube walked off the stage, claiming to be ending the concert, before fellow rapper WC used audience participation to lure ‘Cube back onstage. 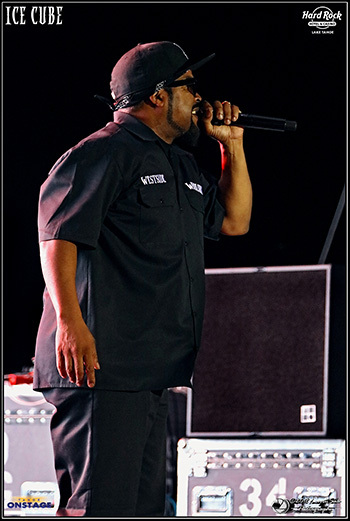 The throwback theme preceded Ice Cube’s act, as Everlast (originally of House of Pain fame) performed a variety of music before ending his set with the song that everyone remembers him for — “Jump Around.” That had the audience jumping in place and got fans pumped for Ice Cube’s performance. The night was kicked off by Mix Master Mike of The Beastie Boys, who mixed some music and prepped everyone for what they were about to witness. 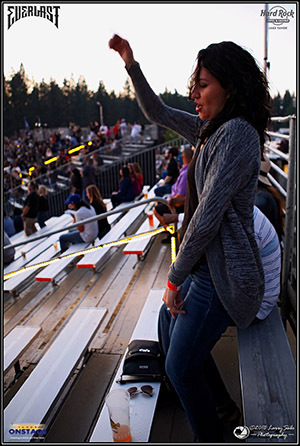 Once the crowd settled in, it was a great night no matter your walk of life. There was a unity at this concert and once again music brought people together. 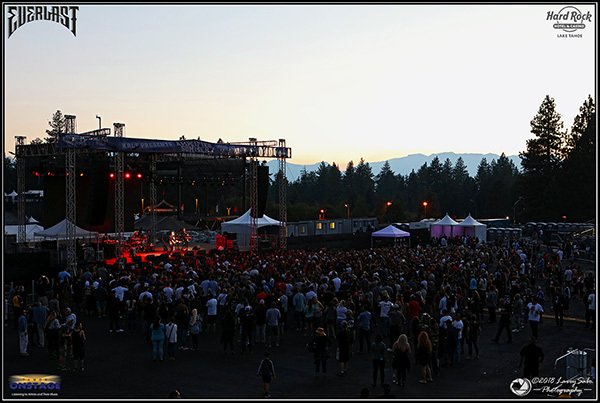 Hard Rock’s Amplied Summer Music Series continues this week on Saturday, Aug. 11, when Papa Roach takes the stage. Going to walk off because of a hat? Good way to lose fans and give out refunds. It was a staged part of the show with the ultimate message being not to let one person ruin your dreams or any moment of your goals in life.